The 3GPP initiative officially approved the 5G New Radio (NR) specifications. Balazs Berenyi, 3GPP RAN Chair, described the approval as "an impressive achievement in a remarkably short time, with credit due particularly to the Working Groups." At Mobile World Congress 2017 in February, major mobile network operators and vendors issued a call to accelerate the 5G New Radio (NR) standardization schedule to enable large-scale trials and deployments a year earlier than the previously expected timeline. Companies backing this accelerated schedule for 5G include AT&T, NTT DOCOMO, SK Telecom, Vodafone, Ericsson, Qualcomm, British Telecom, Telstra, Korea Telecom, Intel, LG Uplus, KDDI, LG Electronics, Telia, Swisscom, TIM, Etisalat Group, Huawei, Sprint, Vivo, ZTE and Deutsche Telekom. The first 3GPP 5G NR specification will be part of Release 15 - the global 5G standard that will make use of both sub-6 GHz and mmWave spectrum bands. In October 2016, Verizon, Qualcomm Technologies, and Novatel Wireless, confirmed plans to expedite the rollout of 5G New Radio (NR) millimeter wave (mmWave) technology. The companies have agreed to collaborate on over-the-air field trials based on the 5G NR Release-15 specifications being developed by 3GPP, with hopes of moving the mobile ecosystem towards faster validation and commercialization of 5G NR mmWave technologies at scale before the end of the decade. The expedited plan call for an initial focus on 5G NR operation in 28 GHz and 39 GHz mmWave spectrum bands. The goal is to achieve robust multi-gigabit per second data rates with mobility at significantly lower latencies than today’s networks. Over-the-air trials are expected starting in 2018, that will be compliant with the first 3GPP 5G NR specification that will be part of Release 15. The trials will utilize 5G NR mmWave mobile test platforms from Qualcomm and will employ advanced 5G NR Multiple-Input Multiple-Output (MIMO) antenna technology with adaptive beamforming and beam tracking techniques. In September, Deutsche Telekom activated its first, pre-standard 5G connection over its commercial network in central Berlin using 3.7 GHz spectrum.The 5G connection is operating a over 2 Gbps with a low latency of three milliseconds. Huawei supplied the user equipment based on 3GPP specifications for 5G New Radio (NR), the deployment on commercial sites is the first in Europe and marks an important advancement in the global development of 5G. Iliad, the fully-integrated operator in France with nearly 20 million subscribers, has agreed to acquire eir, the Irish telecommunications and broadband carrier, for approximately €3.5 billion. eir, which was formerly the state-owned telecom monopoly in Ireland until 1999 (Telecom Eireann), is currently owned by an investor group including Anchorage Capital Group, L.L.C, Davidson Kempner Capital Management LP, GIC, and management. The offer from Iliad is backed by NJJ Group, the private investment firm of telecoms investor and operator Xavier Niel, who is a prominent French businessman. Niel is the founder of and owns 52% of Iliad where he serves as Deputy Chairman and Chief Strategy Officer. Under the deal, NJJ will own 32.9% of eir. Iliad SA will own 31.6% of eir. Shareholders Anchorage Capital Group and Davidson Kempner will retain a combined 35.5% share in the company, respectively 26.6% and 8.9%. eir had revenue of €1.3 billion and earnings before interest, taxation, depreciation and amortisation of €520 million in the financial year to June 30, 2017. eir has about 32% share of the retail fixed broadband market in Ireland. Its share of the retail mobile market is about 18%. Iliad, which operates under the "Free" brand, had nearly 13.4 million mobile and 6.5 million broadband subscribers as of 30-September-2017. Its market capitalisation is approximately €12 billion. Xavier Niel, Iliad and NJJ Telecom Europe, said: "eir is an essential part of the Irish economy and we have closely followed its transformation over the last five years through the excellent work of its team. We are a long-term investor in the telecoms sector and bring global knowhow to eir. In our businesses in France, Monaco and Switzerland we have consistently delivered investment in infrastructure, while driving down prices for consumers. Carl Leaver, Chairman of Eircom Holdings (Ireland) Limited, said: “Today marks an important milestone for eir, our customers and indeed for Ireland itself. Iliad and NJJ Telecom Europe bring a wealth of global telecommunications experience which will be of huge benefit to eir and its customers. Coupled with the continued involvement of our existing shareholders, Anchorage Capital and Davidson Kempner, the company is well positioned to continue its operational transformation, underpinned by sustained investment, innovative products and services and improved financial performance”. The acquisition requires regulatory consent from the government of Ireland and the EU. 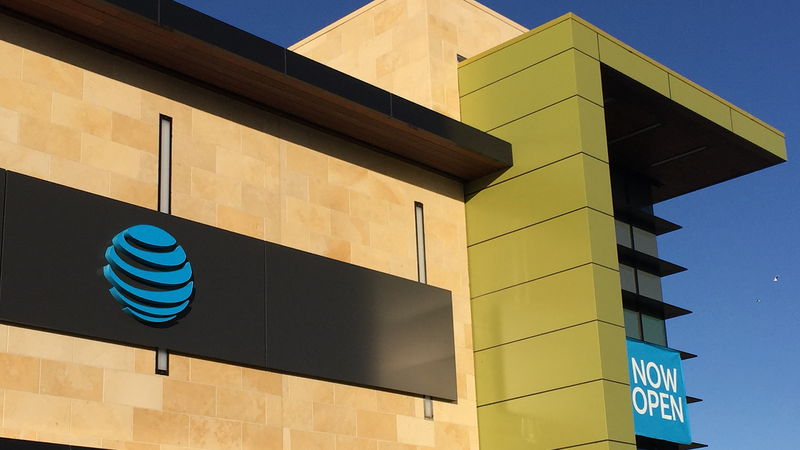 In recognition of the new tax reform legislation, AT&T announced plans to boost its 2018 CAPEX by $1 billion and to pay a special $1,000 bonus to more than 200,000 of its U.S. employees — all union-represented, non-management and front-line managers. As we witnessed with the Equifax breach in early September, data breaches can place personal data at risk and in doing so, erode consumer confidence. But what if you could prevent a major breach by simply placing the software in a container? The Equifax breach occurred when a piece of web software was vulnerable and exposed to hackers. Containers act to reduce the attack surface available for exploitation, and in doing so greatly increase the difficulty and minimize the possibility of many forms of compromise. In many cases, simple steps like using read-only containers will fully mitigate a broad range of attack vectors. From being ephemeral and isolated in nature to enabling frequent patching and scanning against the latest CVEs, containers are vital to securing the software supply chain. Containers will be more widely relied upon in the coming year to combat future threats. As calls for accelerated cloud strategies only get louder across the Global 10K, it's becoming increasingly clear that outdated Platform as a Service (PaaS) frameworks are not equipped to handle the demand of managing all of the applications that are part of today’s modern enterprise. For the past few years, utilizing PaaS has been considered a cutting-edge approach to migrating your apps to the cloud. What is often overlooked, is the time required to set up PaaS frameworks, retrain employees and re-code each application - efforts that can take a year to drive and complete. In 2018, we expect to see PaaS adoption stall as enterprises recognize the time to value is too prolonged for the current and future pace of business. This will give way to accelerated Container as a Service (CaaS) platform adoption as enterprises look to migrate more workloads to the cloud while achieving greater agility, innovation, and cost-efficiencies. It’s widely understood that CIOs typically commit 80% of their budget towards maintenance with only 20% left for innovation - a major roadblock in the path to digital transformation. We expect this to change in 2018 as CIOs rewrite the 80/20 rule in favor of innovation by unlocking new methods for managing and modernizing their legacy apps. In the past, application modernization required refactoring apps, ripping/replacing existing infrastructure and implementing new processes. Instead, enterprises are now using containerization for meaningful application modernization results in days. Organizations will reap the benefits of cloud portability and security while using the significant cost-efficiencies to reinvest their savings in more strategic digitization efforts. 2016 and yes even some of 2017 might have been about the orchestration wars but now that companies like Docker offer a choice of orchestration, some might argue that orchestration has been largely commoditized. With container adoption expected to grow into a nearly $3 billion dollar market by 2020 according to 451 Research and Docker itself experiencing more than one billion downloads bi-weekly, security will be the next frontier that companies need to address. Ironically, the threats will come from the applications themselves, making “container boundaries” an imperative for segmenting and isolating threats. The container boundary can also make it more difficult for an attacker to get the data out, resulting in detection. Securing the software supply chain will be paramount to safeguarding the application journey. Although “digital transformation” has become somewhat of a buzzword as of late, enterprises certainly accept the idea behind it - and with a greater sense of urgency. According to Gartner, as many as two-thirds of business leaders are concerned that their companies aren’t moving fast enough on the digital transformation front, leading to potential competitive disadvantages. In 2018, CIOs will increasingly feel the pressure to speed up digitization efforts and will accelerate their journey through containers. As businesses build out and implement strategies around cloud migration, DevOps and microservices, containers will play an increasingly important role in achieving these initiatives. By Dockerizing their applications, our enterprise customers have experienced the immediate benefits of digital transformation: faster app delivery times, portability across environments, hardened security and more. Following the passage of the tax reform legislation, Comcast announced plans to increase its capital expenditures and to issue $1,000 bonuses to more than one hundred thousand eligible frontline and non-executive employees. Comcast said it now plans to spend "well in excess of $50 billion over the next five years investing in infrastructure to radically improve and extend our broadband plant and capacity, and our television, film, and theme park offerings. Further details will be disclosed in the upcoming earnings report on January 24th. 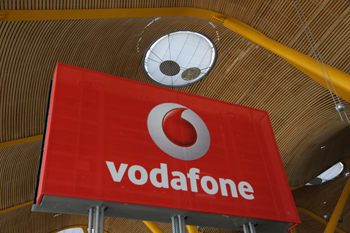 Vodafone UK is conducting a trial of pre-standard 5G using 3.5 GHz spectrum in central London. The testing is carried out in partnership with Ericsson and King’s College London. The trial includes both indoor and outdoor configurations using MIMO, beamforming, beam tracking, and other advanced technologies. Fyusion, a start-up based in San Francisco, announced $22 million in Series B funding for its work in 3D computer vision and machine learning. Fyusion's mission is "to pioneer real-time visual understanding of the physical world using any camera though with a focus on Android & iOS devices." The technology creates immersive, interactive 3D images called ‘fyuses’ by moving any camera around a person, object or scene. Fyusion says its 3D AI technology is capable of understanding these people, objects, and scenes, live in the camera, and with extreme precision. The company also claims to have the world’s largest database of digitized real-world 3D images, updated monthly by tens of millions of users across commercial OEM partnerships. Gionee, Huawei, TCL, and ZTE are Fyusion’s OEM partners. New Enterprise Associates were a follow-on institutional investor alongside new investors Presence Capital and 2020, a fund partnered with Hon Hai Precision Industry Co., Ltd. New strategic investors include one of the top 3 global smartphone makers, NTT Group’s corporate venture capital firm NTT DOCOMO Ventures, publicly-traded Japanese gaming company Colopl, and Gionee – a Chinese smartphone company. Fyusion has raised a total of $38 million since its inception in 2014. Anodot, a start-up based in Ra'anana, Israel with offices in Sunnyvale, California announced $23 million in Series B funding for its AI-powered analytics. Anodot's AI-powered analytics tracks and correlates massive volumes of business and technical data in real time to identify business incidents, such as e-commerce glitches. The company recently achieved Amazon Web Services' Machine Learning competency, a status held by only 17 companies globally. Anodot cited several examples: it insights enabled a retailer to update its pricing to address competitor's bidding activity that was affecting product revenue; a mobile games company to resolve customer engagement drops resulting from its AB tests, and a fintech company to protect its revenue by reducing incident resolution time by 99%. 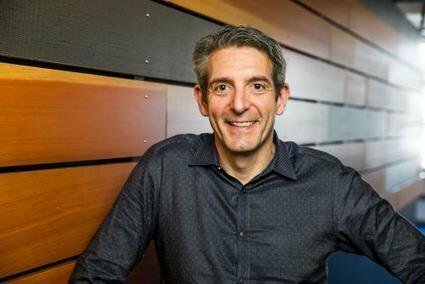 Over the past year, Anodot says it has more than tripled its revenues, with customers such as Foursquare, Lyft, Microsoft, Upwork and Waze (Google). The most recent investment was led by Redline Capital Management together with existing investors Aleph Venture Capital and Disruptive Technologies Venture Capital. Anodot is led by David Drai, co-founder and CEO who previously co-founded Cotendo (acquired by Akamai). Also on the Anodot founding team are Ira Cohen, formerly Chief Data Scientist at HP, and software R&D executive Shay Lang. SendBird, a start-up based in Redwood City, California with R&D in Seoul, Korea, raised $16 million in Series A funding for its API and SDK for in-app chat and messaging. SendBird said its API is now powering chat for over 6,500 applications in 153 countries globally. It can support over a million concurrent users for each application. The funding round was led by Shasta Ventures and August Capital with participation from existing investors at Y Combinator and FundersClub. "It's our mission to digitize human interactions for businesses," said John S. Kim, Chief Executive Officer and Co-Founder, "With the new round of financing, we can accelerate our plan to help companies rapidly increase the engagement and retention of their users by enabling real-time conversation with our chat API."